Social media has taken over and you have no choice but to be on it. Businesses big and small are fine tuning their social media marketing campaigns and building their online presence like never before. Where once it was newspaper advertising and mailbox drops, now it is tweeting, posting, tagging and gramming. The reach a business can potentially get with social media is endless and geography now has no bounds. So, are you on social media? Are you rocking it or is it a chore that you try and battle through just to be seen? For most new businesses and single entrepreneurs it is a chore. The battle to get your posts right and boost your reach and then the battle to actually get your posts out there in the first place. Social media marketers have spent the past few years fine tuning the social media minefield for us so we don’t have to! Working out what hot and what’s not and then tweaking to your audience. The problem is, most start up small businesses don’t have the capital to put toward a marketing campaign. This is where planners and schedulers come in. They are designed to try and take some of the burden off you so you can get back to what you enjoy most. They won’t create your content for you, but some platforms do have posts you can reshare with your viewers, helping the content battle. Scheduling your post though means your fans will always hear from you, even when you are sleeping or at the beach! A good app that can be used on desktop or mobile. 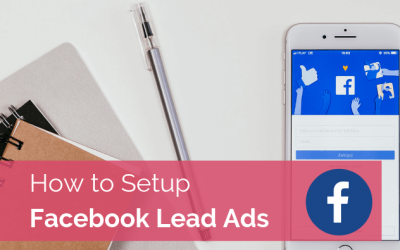 It can schedule to Facebook, Twitter and even your Facebook group. It will also auto post to your pages so you can literally set and forget. 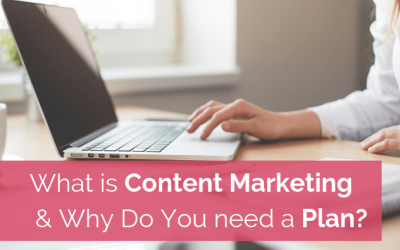 One of the bonuses of Post Planner is the content you can share from their library. It is free for one account and from $14 p/m for multiple accounts. It doesn’t have Instagram on it’s list though. A good multiple platform app that can handle Instagram, Facebook and Twitter all from one account. It is free for their limited package of 3 accounts and then prices start from $25 p/m. Hootsuite also has training docs to give you a bit of a leg up. It’s one of the more popular platforms. Is another good multi platform app that will handle your Instagram, Facebook, Twitter, Pinterest and more from the one account. They have a free plan that will allow you to connect one social account per platform i.e. 1 Facebook, 1 Twitter etc. but their free plan does not include Pinterest. Paid plans start from a very reasonable $12 p/m. Buffer is a good multi app to keep your platforms in the one account. SmarterQueue allows you to browse popular content from other social media feeds and share. Another great feature is to be able to create “evergreen content” and recycle after a set period. Easily categories and schedule everything using a visual drag and drop visual calendar. This is a nifty little app and it is one of the only ones that will reshare your evergreen content automatically! So if you are ad-hoc with your social media and have a lot of evergreen content at your disposal, MeetEdgar might be for you. It’s $61 per month for up to 25 profiles and will post to Facebook, Twitter and LinkedIn. Instagram is a bit of a tricky one in that is doesn’t actually permit auto posting to accounts. In saying that there are apps that will do it including this one. There is a word of warning that it is against the Instagram T&C’s so you do it at your own risk. The bonus with this though, you don’t have to be near your phone to approve your scheduled post to your Instagram page. Grum is $12 per month for multiple accounts. Created solely for Instagram it is free for one user and one account, so a good one to start off with. The beauty of Planoly is you can see your instagram feed in real time and use it for your styling to ensure you get a uniformed look. It is easy to use and paid plans start from $9 p/m. Another Instagram platform that was created by an Aussie Mum who just wanted a curated Instagram feed! Drag and drop post organiser and user friendly, Plann is a very cost effective way to manage your Instagram feed. They have a free package but when plans start at as little as $3 p/m why would you need to? 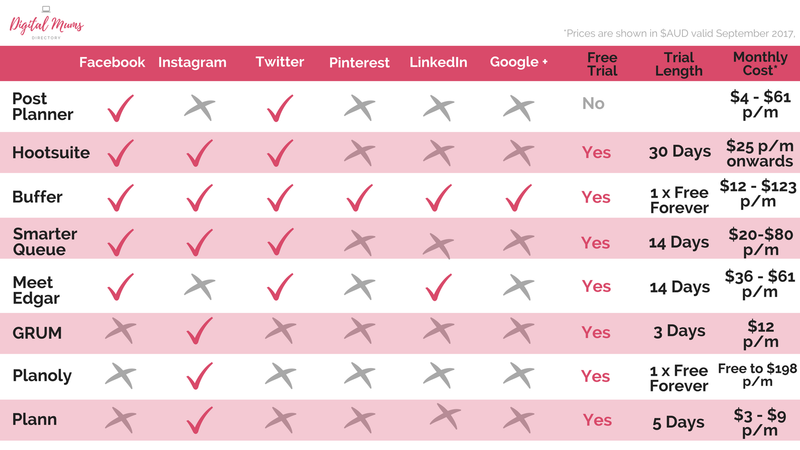 Do you have a preferred social media scheduling tool or app you use on a daily basis that we’ve missed? Share them with us on our Facebook Page so we can all use our time doing the things we need to in our businesses while our social media is ticking away. *Please note that all prices quoted are $AUD valid as of September 2017 (some schedulers must be paid in $USD). I use Planoly and I absolutely love it! It allows me to plan and organise my content in advance and the drag & drop function means that I can plan out my grid and ensure that my photos flow visually. Highly recommended! I love to use Planoly to schedule my Instagram posts. I have found the free trial to be more than adequate and I love that I can see my grid and shuffle around my scheduled photos until I am happy with how it looks. 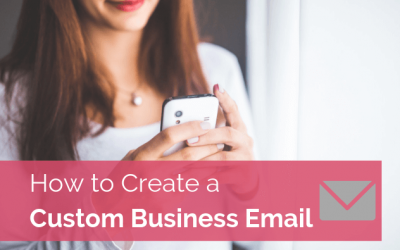 It saves me so much time having all my posts planned and to simply push the content through to my account when prompted on my mobile phone is super convenient. I use SmarterQueue every day, I couldn’t run my business without it. It gives me the ability to plan my posts when it’s convenient for me. 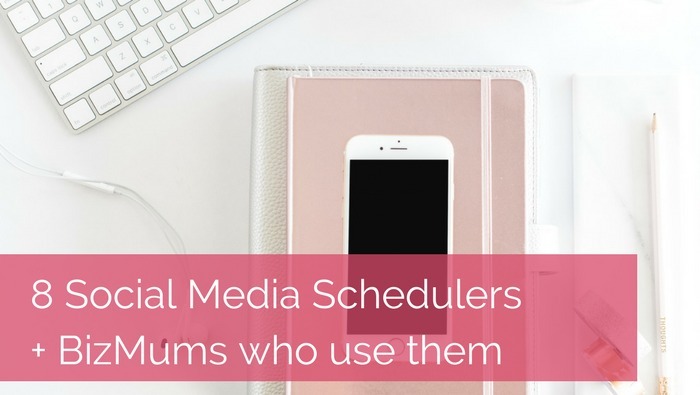 I’ve tried a few different social media schedulers and my favourite time-saving one is Buffer. It connects to all my social media channels – Facebook (pages and groups), Instagram, Google+, LinkedIn, Twitter and Pinterest. It has a very handy iPhone app which makes it easy to create posts as a good idea hits me, wherever I am. It also has an awesome browser extension to save any article for future posts, plus on the iPhone I have an option to save to Buffer. Great all round platform!